Offer Ends: May 1 Discount applied in cart. May not be combined with other discounts or specials. Try Risk-Free for 90 Days.? 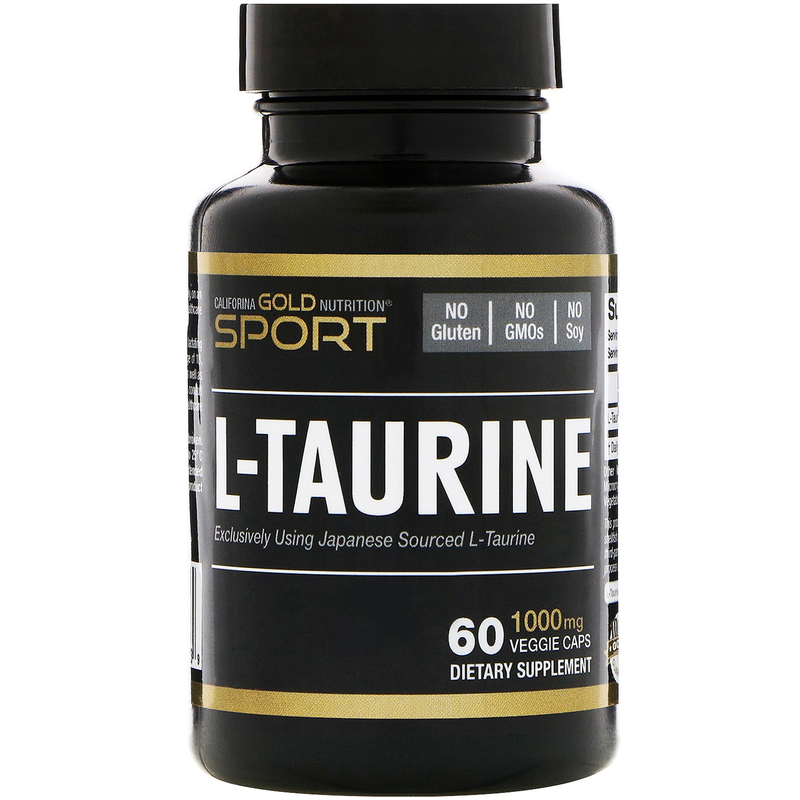 California Gold Nutrition’s AjiPure® L-Taurine is exclusivity soured from AJINOMOTO® and undergoes multiple stages of Quality Control. 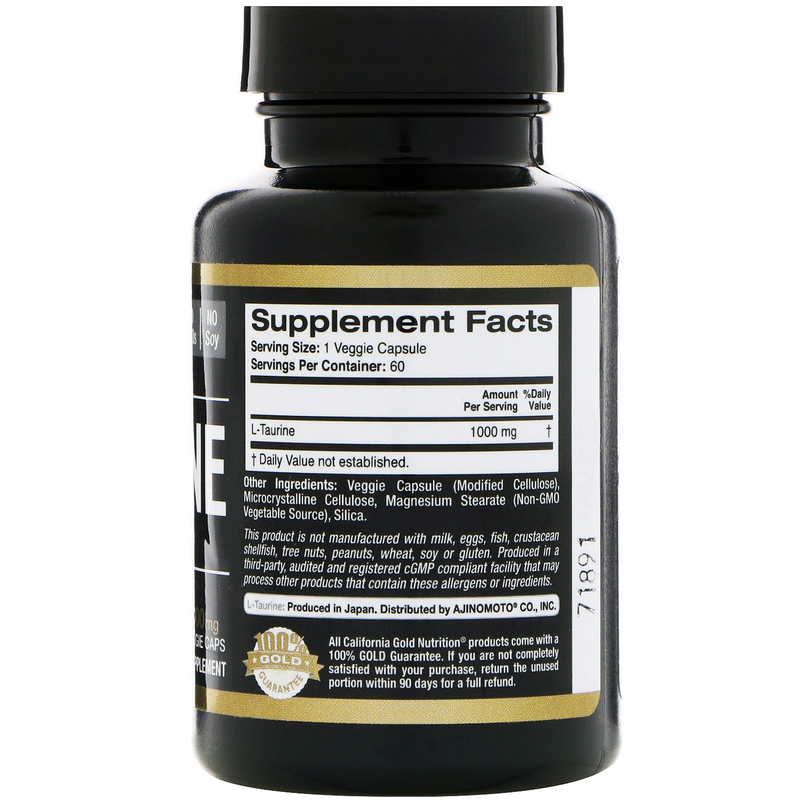 Take 1 veggie capsule 1 or more times daily, on an empty stomach. Best when taken as directed by a qualified healthcare professional. 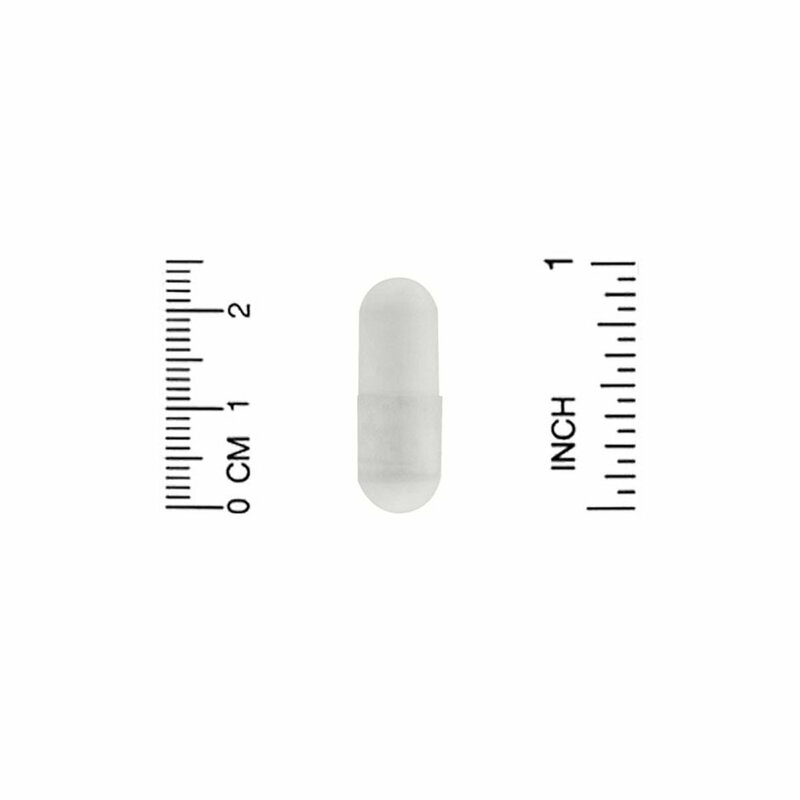 Veggie capsule (modified cellulose), microcrystalline cellulose, magnesium stearate (non-gmo), vegetable source), silica. This product is not manufactured with milk, eggs, fish, crustacean, shellfish, tree nuts, peanuts, wheat, soy or gluten. Produced in a third-party audited and registered cGMP compliant facility that may process other products that contain these allergens or ingredients. Keep out of reach of children. Pregnant or lactating women, the chronically ill, elderly individuals under the age of 18, those taking prescription medications (e.g. blood thinners) as well as these with a physician-diagnosed medical condition should consult with a pharmacist, naturopath or other qualified healthcare professional prior to taking dietary supplements. Sealed for your protection. Do not use if seal is missing or broken. Best stored at a Controlled Room Temperature (CRT) 20ºC to 25ºC (68°-77°F. Improper storage conditions, such as extended exposure to direct sunlight, high heat & humidity can cause product degradation over time.